Independent living is coupled with 24 hour support at Holywell Park, allowing our residents to live their own lives while enjoying the nursing care they need, when they need it. Get in touch for more information. At Holywell Park we want our residents to maintain their independence as much as possible. For this reason we have flexible meal times, and allow the residents the freedom to carry out their lives as they choose. Families are welcome at any time, and are encouraged to visit as much as possible. We have an on-site shop where residents can buy all necessary sundries. We stock items such as toiletries, newspapers, sweets, magazines and greetings cards. Laundry is collected and returned daily wherever possible with our daily laundry service, and our cleaners use Otex to kill all germs: including MRSA. One of the most enjoyable things in life is food, and at Holywell Park we provide delicious home cooked meals made from local produce. All dietary needs are catered for, and residents can choose what they want to eat from our wide variety of choices for breakfast, lunch and dinner. All meals are well presented and provide our residents with a nutritionally balanced diet. We also provide snacks and drinks throughout the day. Visitors are welcome to eat with us, but we do ask that you give us notice so that we can accommodate your needs. 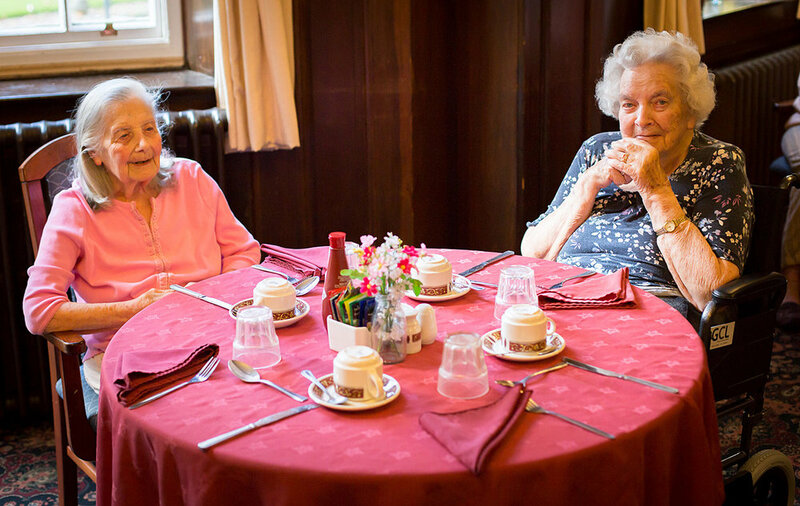 We provide residential care in luxury and homely surroundings. We will not only look after all the personal needs of our residential care residents but also promote their social being and independence. As with our nursing clients, we will also carry out a full assessment prior to admission and create an individualised care plan to ensure that all assessed needs are met including religious, social and cultural needs. We understand the considerable pressures of looking after a very dependent elderly person and are aware that at times you may appreciate a break. Should you need to arrange care for a short period, or as long as you wish, then please contact contact us and we will carry out a full assessment of needs. If you have arranged a holiday then your loved one can also enjoy a holiday and meet new friends in Holywell Park’s vibrant community.